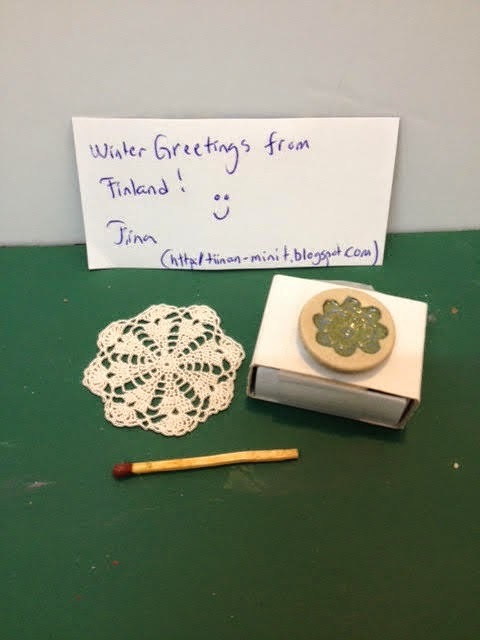 I was one of the lucky winners of Tiina's giveaway. Today my prize arrived together with with a beautiful clay plate. My prize was to be the little tablecloth so the plate was a delightful surprise. Tiina's crochet work is incredible, the doily is simply exquisite. 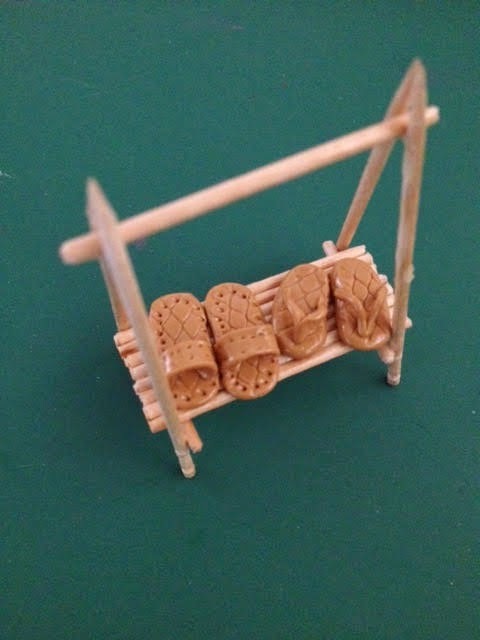 none of my fellow miniaturists in this group know about this blog). Congrats on winning such a beautiful prize! Your shoes are amazing! wonderful work! Поздравляю с замечательным подарком! Я люблю маленькие вязанные салфетки! Вы сделали большую работу! Ваши друзья будут счастливы! Congratulations on your beautiful prize of Tiina, enjoy it :)! Your shoe stand and shoes are amazing, I'm sure the recipient will love it :D! Congratulations on winning your beautiful prize. Tiina's crochet is gorgeous. 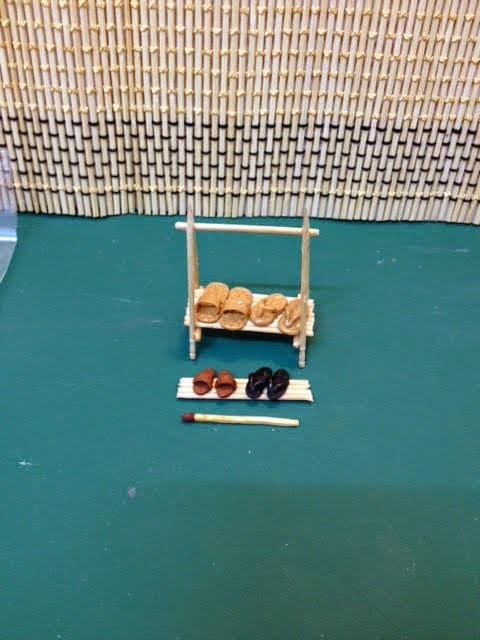 I love your shoe rack and the tiny shoes are amazing. Have a wonderful meeting. Enhorabuena por el regalo. Bonitos zapatos. Congratulations n winning the cute giveaways. Enjoy ! What a beautiful shoe stand and shoes! Congratulations on your lovely prize. I am sure anyone who wins that gorgeous stand with those perfect shoes will be thrilled. The givaway prise is a lovely addition! I am so happy you have a group to meet with and are able to share with folks who also love minis! Your little shoe rack is wonderful! 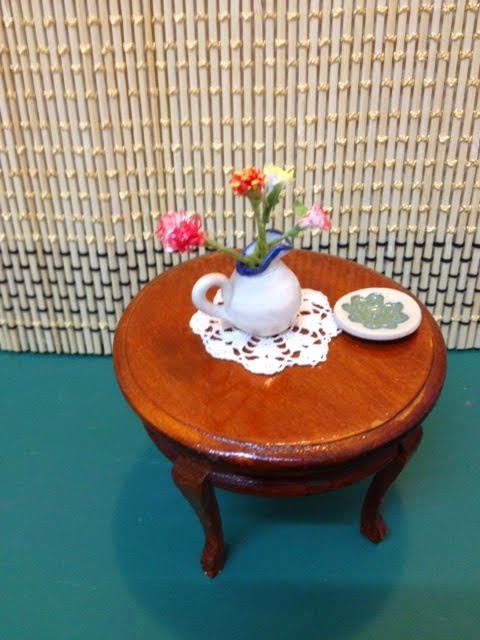 Congrats on winning such a lovely price - and what fun to meet with other miniaturists. I have no doubt the receiver of your gorgeous shoe rack will be very happy, the shoes look fantastic. A beautiful win. I like your shoe rack and the shoes. Que regalos mas bonitos, estarás muy contenta, felicidades. Un beso. Hola Drora!! Felicitaciones por sus regalos!! El pañito es una preciodad!! Los zapatitos y el zapatero son una monada!! Un beso!! You are invited to my give away ..! !